In 1925 Balham Cycling Club organised a club run with a twist – off-road, in modern parlance it was a cyclo-cross event. A year later the Balham Rough Stuff Open was born. 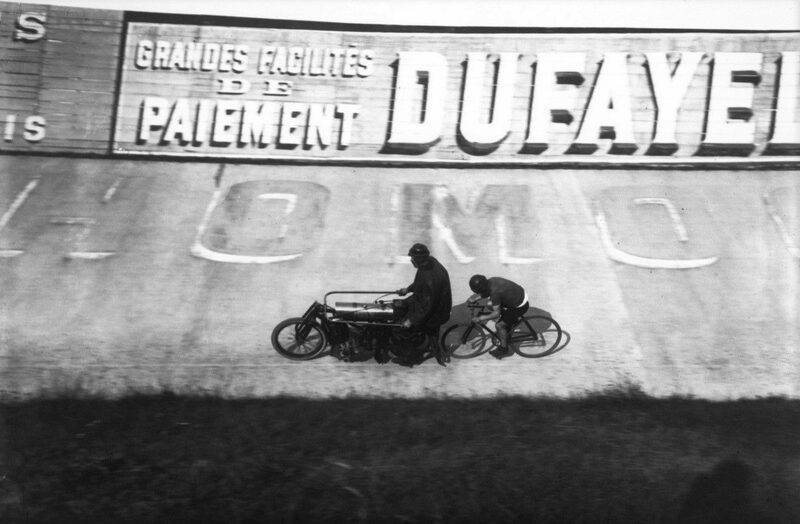 By the early 1930s it had became not only the traditional season opener but also one of the most prestigious races on the national calendar, attracting some of the biggest names in cycling. For 35 years The Balham Rough Stuff (sometimes known as the Balham Hard Riders or Rough Riders) was an annual 25 mile race* over some of the most unforgiving North Downs terrain. Keeping warm and repairing punctures were also key skills required of the Rough Stuff Rider. In its pomp the first challenge for a clubman was to get a place on the start line. The Rough Stuff was limited to 100 riders and often oversubscribed. In 1938 for example, ‘The Balham’ received over 200 applications. In 1938, the entry list included two Olympians from 1936, the 4000m Team Pursuit bronze medalist Harry Hill and road racer Alick Bevan; and 1932 Olympian Stan Butler. Norwood Paragon rider Butler won the Rough Stuff six times in seven years between 1932 and 1939 (winning in 1932, 34, 35, 36, 38, 39). One of the biggest names, double Olympian (1928 and 1932) Frank Southall was runner-up in 1931. Records show that he raced in the event at least three times (1931, 32 and 33). Of the 100 entrants not all would reach the finish line. In fact some wouldn’t make the start line. Ridden in February, one of its big challenges was some of the toughest British weather that could be thrown at a cyclist. Rain and ice featured a lot and the biting cold was almost guaranteed. Snow is recorded on at least two occasions, in 1937 and 1948. An overnight deluge of rain in 1939 left the narrow lanes awash with mud and loose stones and 1946 was a treacherous trial of skill and handling with rain falling all the previous day. At the end of a chilly Balham Rough Stuff 25 race, February 1948. Probably on Farleigh Common. Centre front is Charlie Press. All others as yet unidentified. Ken Smith (his own words typed on the bottom photo) in 1948. Of the 100 riders entered in 1927 only 33 finished and the 1937 race saw only 57 of those entered make it to the finish line. In 1938, 85 of the 100 started and only 68 finished. A description of the race route drawn from the same article gives a flavour of some of the challenges. In 1935 top rider Fred Willett fell off three times and was then held up by a flock of sheep (he would win it in 1937). The course was hard to navigate and it was easy to get lost. They frequently did, with around 25 cyclists going off course on the 1957 ride alone. The race required a lot of marshaling – a 1945 route map shows 41 marshalling points – and this was to play a part in its demise. The last Balham Rough Stuff was in 1960. The Norwood Paragon archive reveals it was taken over by the Croydon and District Cycling Association in 1961 as marshalling duties became too onerous for the Balham club. It was during this time another Butler got his name on the trophy. Stan’s son Keith Butler won the Balham Rough Stuff at his first attempt in 1957 and would win the newly monikered Croydon Rough Stuff 25 (then Hard Riders) in the early 60s. Have you or any family members got any photos or club memorabilia from the Balham Rough Stuff ? Did you ride in it? Email me at balhamcyclingclub@btinternet.com or drop me a line in the comments box. I would love to hear from you. Great to see the revival of the Balham CC. The Rough Riders event was what inspired the Kingsdale CC to promote in 1939 a similar event in North London which went on become the North Road CC Hardriders. Next year will be the 60th consequetive edition organised by my club. London suburbs, as a pipe-opener to the racing season. The event proved so successful that members of the Kingsdale C.C. stepped in again in 1959, at very short notice, when the event was about to lapse, and have promoted it ever since. Neil, thanks for the addition to the story. I didn’t know any of it. Great stuff! I’ll see if we can get some of us together in the BCC kit for the 60th!